With more than 25 years of marketing, leadership, and business development experience on multiple continents, Chris Steely’s depth of business expertise spans numerous industries where he has achieved outstanding results for his clients. He has a solid reputation for helping high-growth businesses increase their sales, profits, and cash flows; developing focused strategies; optimizing team performance, and developing professionally managed organizations. Chris has owned, operated, built, and sold several profitable service-based businesses. He has served as the Director of Coaching for the world’s largest business-coaching company, training and coaching leaders who’ve trained and coached 12,000 business owners a week in 26 countries. He has also worked extensively with the major business consulting companies, serving such organizations as Alcoa, Oracle, Johnson & Johnson, and CSX Railroad, focused on optimizing performance and results. He generated over $10 million in annual revenue through partner channels, developing and driving unconventional strategies and executive relationships, leveraging a global business partner base. 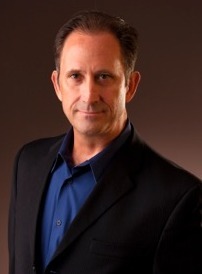 He has also worked with Tony Robbins and his best entrepreneurs, optimizing their business results. Chris earned his MBA from Boston University, holds degrees from the University of Florida and the University of Central Florida, and a secondary diploma from Culver Military Academy. He served as Marine Corps Logistics Officer. As a Company Commander, Chris had the privilege of integrating the first female Marine even into a combat MOS (Military Occupational Specialty). Chris has co-written two books on success in business and life, and is a top-rated trainer and facilitator in numerous countries. He has the ability to extract business and life lessons from his experiences, leveraging them to inspire others, which sets him apart from so many other speakers, educators, and leaders around the world. Chris is also an honorary member of the National Association of Female Executives (NAFE). He may be reached at chris@genderpartnership.com or (415) 331-3222.